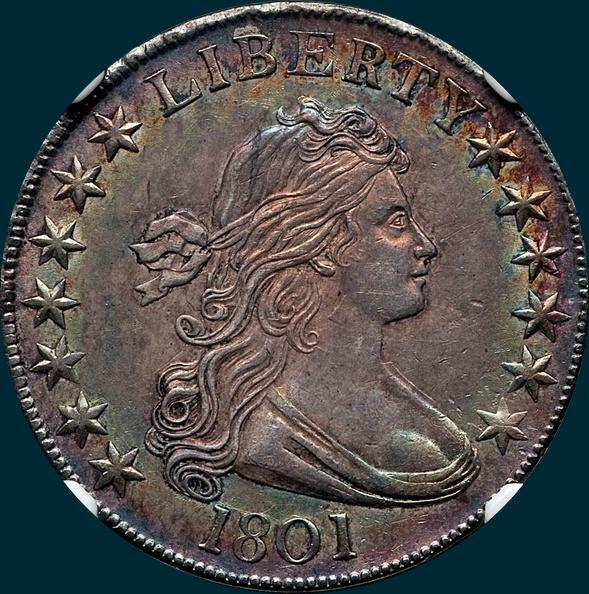 The tougher of the two 1801 die marriages, with only a single MS example appearing (the Newman coin). 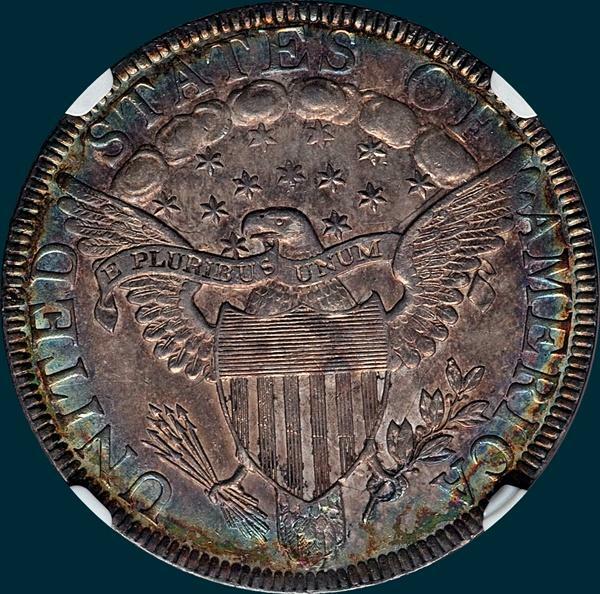 1801 was a year where half dollars returned to production and most saw heavy circulation. Variety Attribution: Obverse-Large stars and 1 and 13 are close to curl and bust. Large close date. Reverse-Left base of A2 embedded in wing feathers. 5 berries, 12 arrows.